Homeland fennel - India and southern Europe. In the wild it is found in the Caucasus and in the Crimea. As a medicinal the fruits of this plant used as cough medicine, is obtained from essential oil. As a food product fennel in Russia is underestimated, although it is sold in many large supermarkets. Most buyers just do not know what and how to cook. When buying fennel, look for firm, smooth and shiny bulbs. They should be bright white, without dark spots, in any case not yellowed, not shriveled. Despite the fact that in our supermarkets fennel is sold all year round, its season starts in late January – early February. At this time the fennel is the most delicious. Typically, supermarkets sell fennel sweet, you can eat it without cooking. Raw fennel is fresh and clean anise flavor. If you bake it in the oven, it will become very soft and tender, with a pleasant sweet taste. 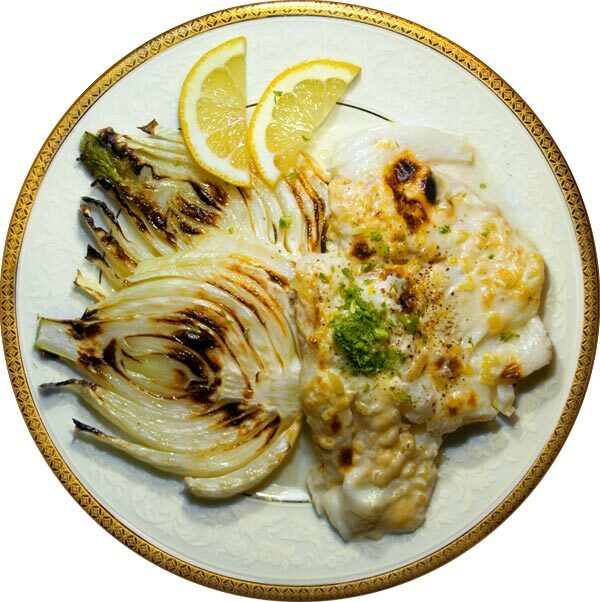 You can fry the fennel in oil, season with lemon juice, baked in broth, stew with cream. Try to put out the fennel. Cut the onion into four pieces and fry in a pan with butter on all sides. Add to the pan of water to cover the fennel in half. Squeeze lemon juice, add salt, cover and simmer for 20 minutes. Then remove the lid and turn up the heat. When you evaporate nearly all the liquid, you need to turn off the stove and immediately submit the fennel, sprinkled on top grated cheese. In this form it is served as a side dish to chicken, meat or fish. Its taste goes well with many foods. Prepare the fennel salad with orange. For this fennel cut in half and thinly slice into half rings. Then wash the sliced fennel under running ice water, towel dry or in the dryer for salad. Orange peel, try to free it from coarse membranes, each slice cut or divide into two parts. Mint is finely chopped. For the filling mix the yoghurt with salt, pepper and olive oil, whisk with a fork. Lettuce rinse well and dry. Mix lettuce, fennel and orange, pour on top of dressing and sprinkle with mint. This salad you need to eat immediately, otherwise it will become limp and tasteless! Recipes with fennel. The fennel is for culinary purposes are used not only herbs and seeds, but also tubers. Herbs fennel has a spicy, sweet aroma, resembling anise. The young shoots make a more delicate taste marinades for salads and willingly used in the canning of vegetables, especially cucumbers and cabbage. If you really want to have - take the fennel, pogruzit it - and after a couple of minutes you feel full. Substances that are part of this amazing vegetable also helps burn subcutaneous fat, is removed from the body of accumulated toxins, purify the blood from toxins and stimulates the function of the kidneys, it has a weak diuretic action.